Studies indicate that more than 80 percent of Americans suffer from tension headaches. Many tension headaches originate from muscle tension in the face. The temporomandibular joints (the little triangular joint you can feel in front of each ear), or TMJ for short, allow your jaws to open, close, and move side to side, forward and back. When these joints are misaligned, the strain on your facial, head, and neck muscles can cause a variety of problems, including migraines. Indications that your headaches may result from TMJ dysfunction include: (1) pain behind the eye(s), (2) facial spasms, (3) sore face muscles upon awakening and (4) grinding or clenching your teeth. 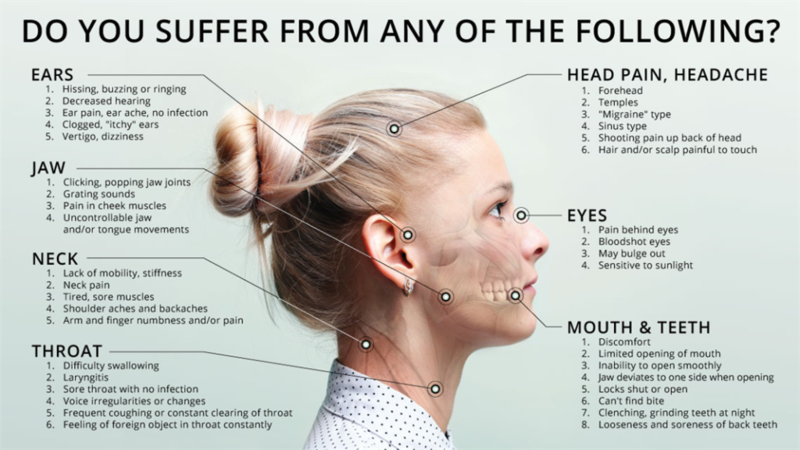 If you suffer from any of these symptoms, visit our patient library to learn more, then call Dr. Kathy S. Ratliff to set a TMJ dysfunction consultation. Many patients have never considered that their family dentist or orthodontist could offer headache relief.